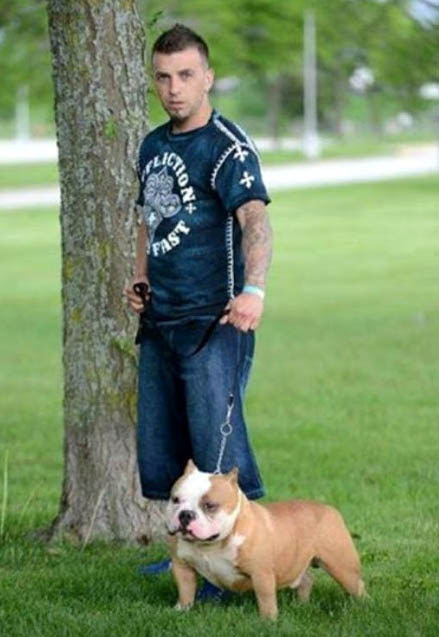 INDIANA -- The 36-year-old Crown Point man accused of running a dangerous dog breeding operation in Center Township is seeking to stand trial outside Lake County. 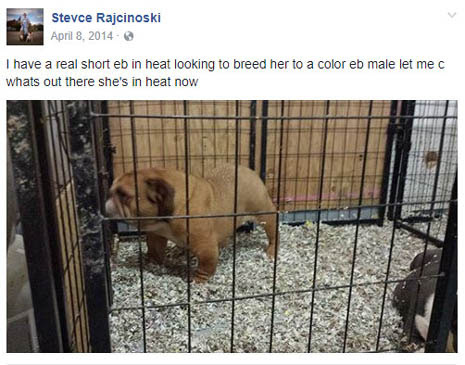 The motion for change of venue was filed Friday morning at an initial court hearing for Steve Rajcinoski, who is accused of breeding and performing surgery on the dogs at a property in Center Township. 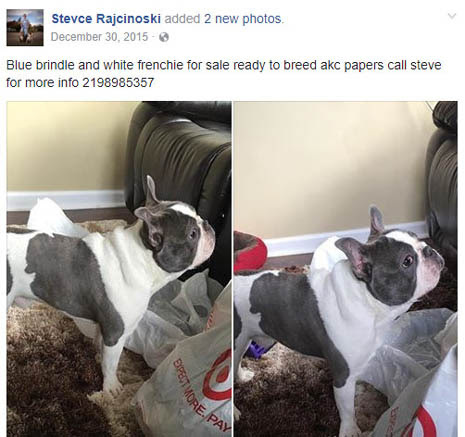 The Lake County Prosecutor's Office has also reached an agreement with Rajcinoski regarding the custody of the animals seized from his property by Lake County police. 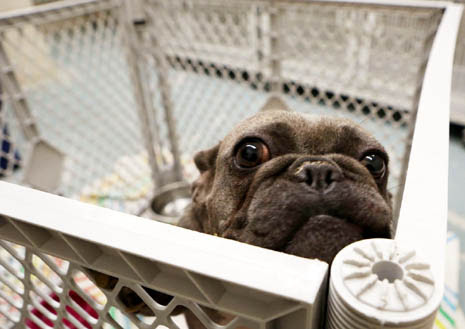 The defendant has agreed to relinquish his rights to 68 of the seized animals — 64 dogs, three goats and a miniature horse — and he will post bond for the remaining nine dogs, according to a press release. 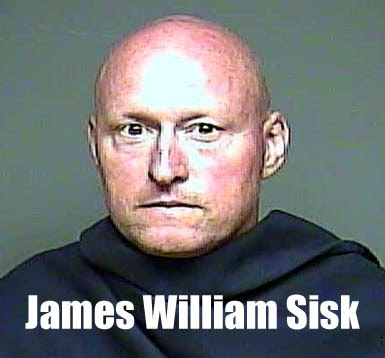 The bond will allow him to retain ownership of the animals until the pending criminal case is completed. 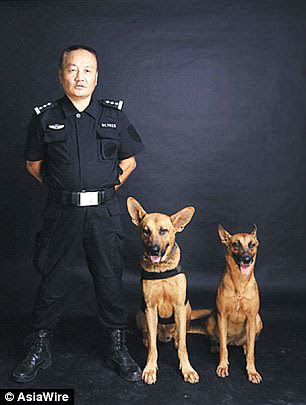 If he is found guilty, then he will forfeit his rights to the animals, the release states. 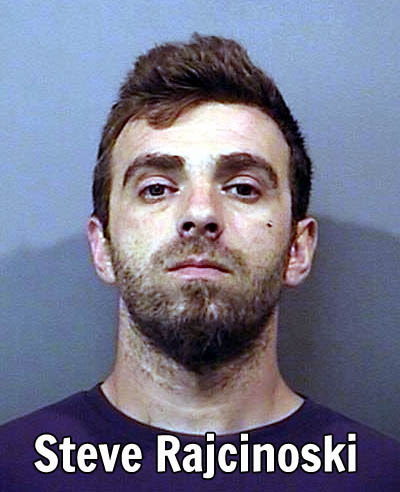 Rajcinoski appeared at the initial court hearing with defense attorney Paul Stracci. 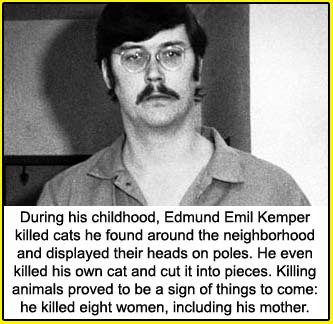 He stood in the cramped courtroom as Magistrate Judge Kathleen Sullivan read the charges against him: 11 counts of torturing or mutilating a vertebrate animal, 72 counts of cruelty to animals, 11 counts of practicing veterinary medicine without a license and one count of failure to register as a commercial breeder. 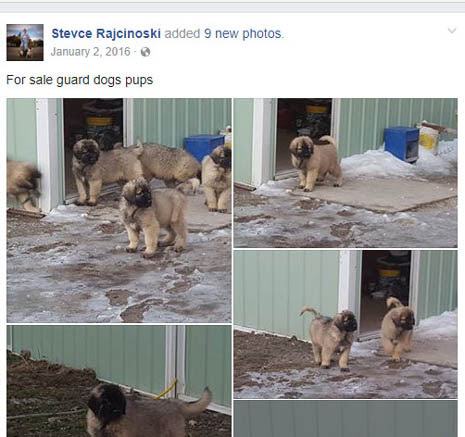 The charges stem from a May 3 police search at Rajcinoski's property in the 5900 block of West 125th Avenue, which allegedly turned up 68 maltreated dogs kept in a poorly ventilated garage. 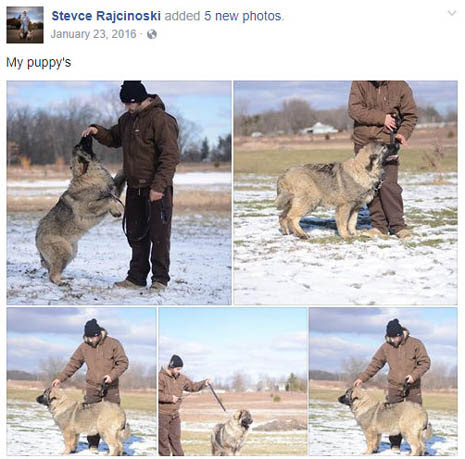 Lake County police said they also found a bucket full of scalpels and medicine — evidence Rajcinoski may have been performing C-sections on the animals. Stracci said in his motion to change venue that those statements by the sheriff, among other “inflammatory” and “misleading” statements, have prejudiced the community against Rajcinoski. The defense attorney said some incensed community members have launched a social media campaign against the defendant and contacted judges demanding he be punished. The social media campaign has caused the recusal of three judges, all of whom cited social media posts as a reason for withdrawing from the case. 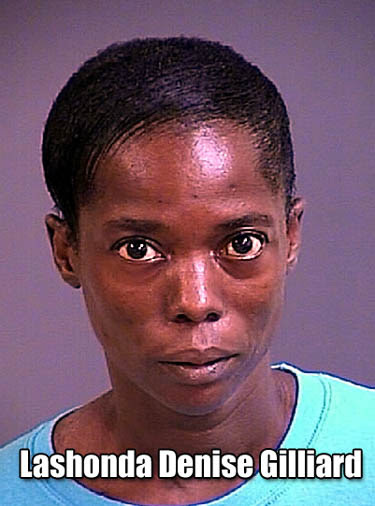 The case is now before Judge Diane Boswell. A hearing on the motion to change venue is scheduled for Aug. 31. The animals seized by police have been kept in police custody at the Lake County Sheriff's Animal Adoption & Control Center. 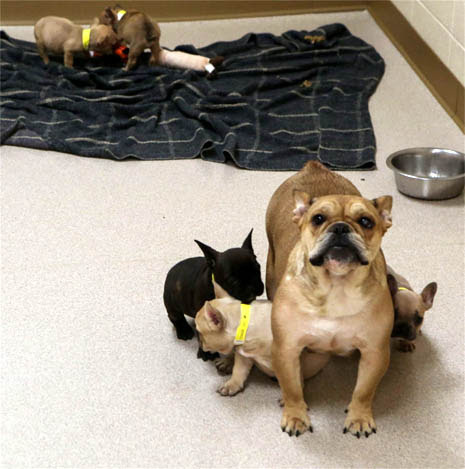 Mark Back, a spokesman for the sheriff's department, said Friday afternoon the relinquished animals would soon be up for adoption. "We have received many requests for adoption of these animals, so it is likely there will be a lottery system in order to make the process fair," Back said. 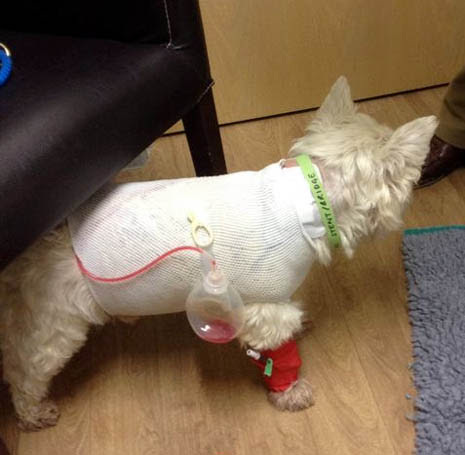 UNITED KINGDOM -- A Brixham couple have spoken out about the terrifying attack on their beloved Westie Thomas to warn other dog lovers. 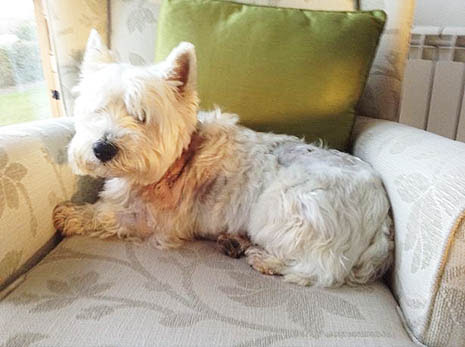 “If you have a dog that displays aggressive behaviour towards dogs, people or other animals then it is important to seek expert advice and it may also be necessary to muzzle your dog. 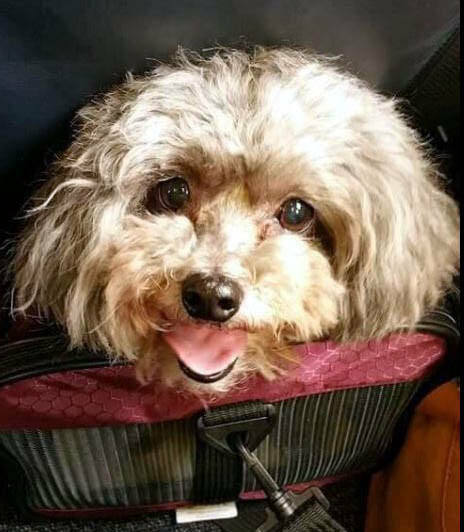 NEW YORK -- A boy who was attacked by his family's dog Wednesday — suffering severe injuries to his neck — has undergone two surgeries and is expected to survive, according to the boy's father, Samuel Lawson. 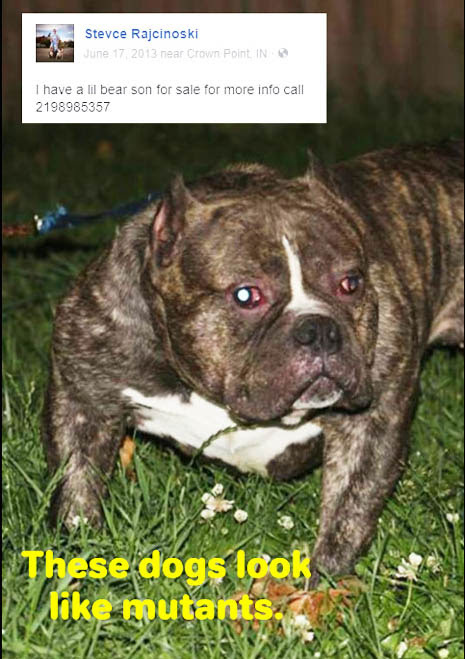 Lawson said his 8-year-old son, Emanuel Sanchez, was taking the family's pit bull/boxer mix named Big Boy out for a walk Wednesday when the animal attacked him for apparently no reason. Lawson's fiancee, Jasmine Tirado, was also injured in the attack. 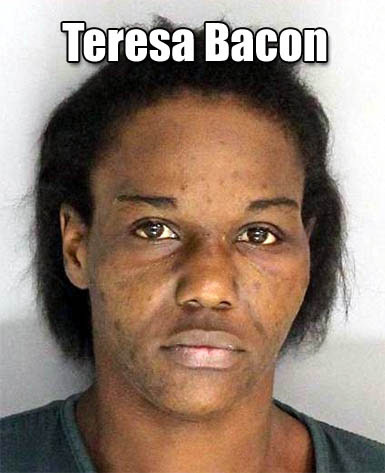 "She tried to protect him, and [the dog] went after both of them," Lawson, 38, said. 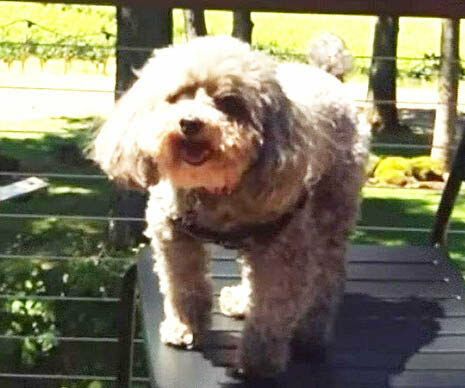 Sanchez was bitten in the neck and arm and was airlifted to Albany Medical Center on Wednesday. “He’s going to pull through, he’s very, very tough,” said Lawson, adding that Sanchez had surgery on his arm and neck. Lawson said doctors are sedating Sanchez so he doesn’t damage any of the repairs that were made to his body. “For the first week he’s going to be kind of out of it,” he said. Lawson said Big Boy bit Tirado, 27, taking the tip of her pointer finger off. “She won’t ever have her nail back,” he said. 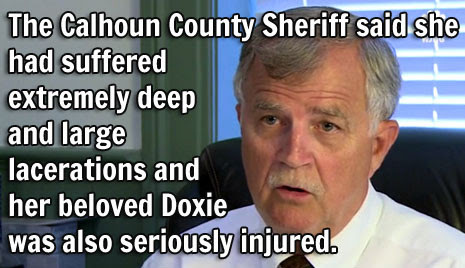 She sustained other injuries as well. Lawson said Tirado is 6 months pregnant but the incident did not affect the health of her pregnancy. Lawson has seven children total ranging in age from 2 to 12. 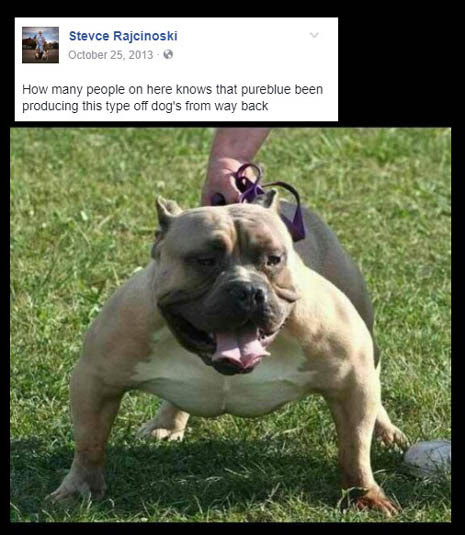 Lawson said he has owned Big Boy, now 5, since he was a puppy, and the animal has never exhibited aggressive behavior before. 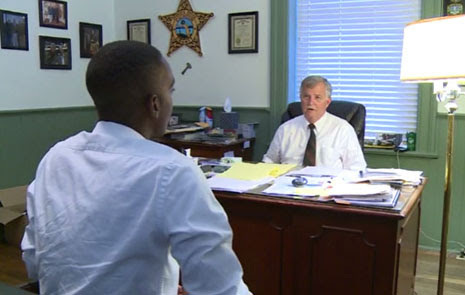 "I don't know what the issue was or why he attacked," Lawson said. "Honestly I don't care. He went after my son and he knows better than that. ... I don't want him here." 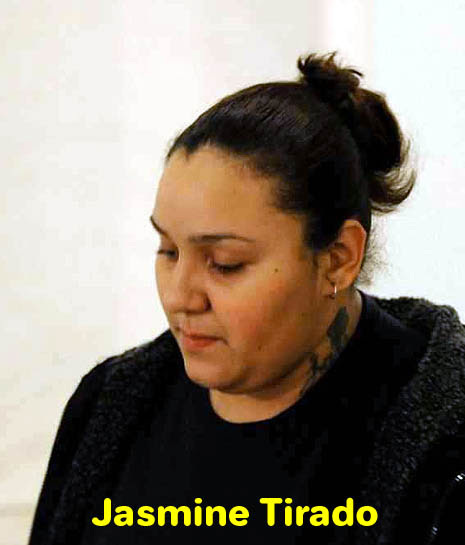 Tirado was involved in a 2011 incident in Schenectady in which three PIT BULLS she owned escaped from her Hulett Street apartment and mauled a woman. 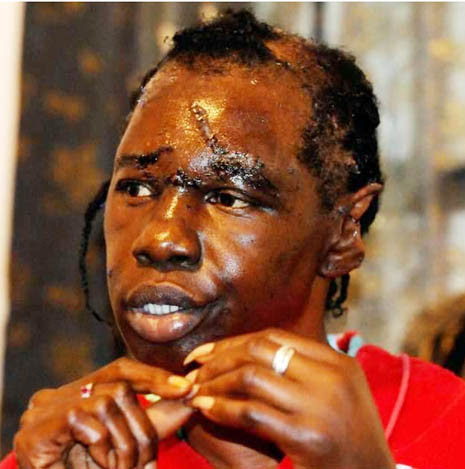 That woman, Shirleen Lucas, suffered severe injuries to her head, arms and legs that required 200 stitches to heal, as well as cosmetic surgery, according to a Daily Gazette report from 2012. 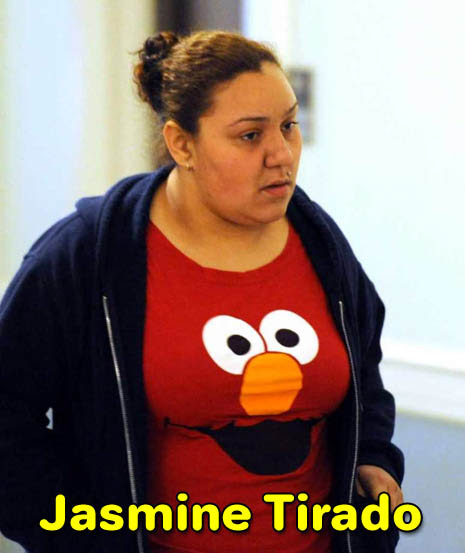 Tirado was fined $2,200 and was sentenced to 30 days in jail in that case. 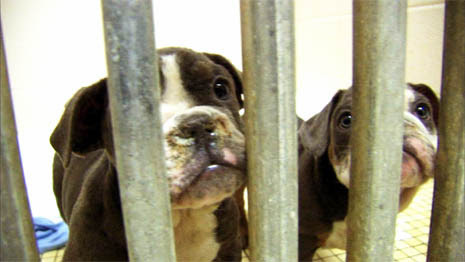 All three Pit Bulls in the 2011 incident were destroyed. 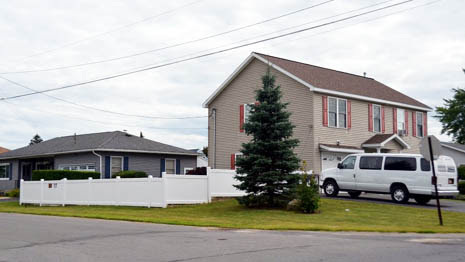 On Wednesday, Big Boy was confined to a kennel behind Lawson's house at 61 Chapel Place in Amsterdam. Lawson said he's waiting on county animal control officials to learn what will become of the animal. Amsterdam Police Chief Greg Culick said his department is investigating the Wednesday attack, as well as Tirado’s involvement in the 2011 incident. It’s unclear what, if any, charges might be filed. 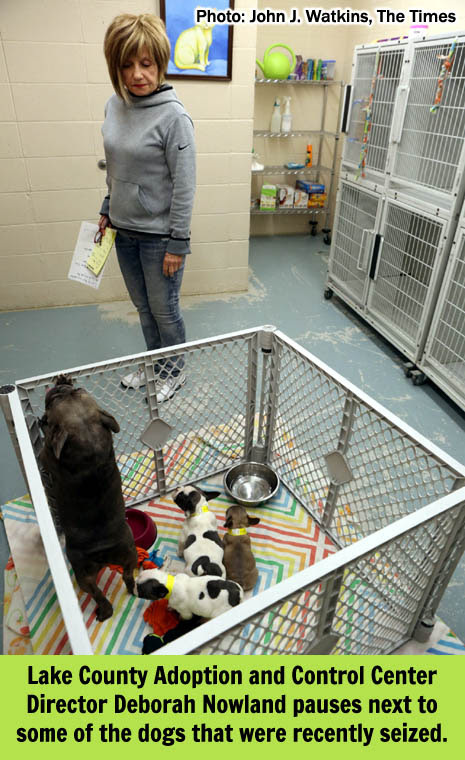 Culick added that county animal control services are also involved in assuming control of the dog but that the local shelter is over capacity. 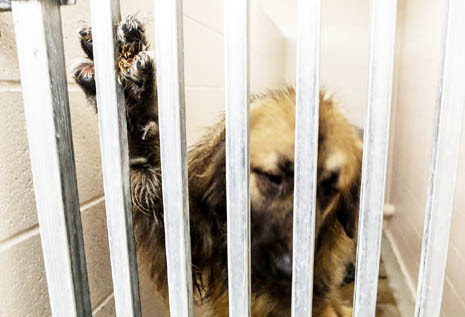 “Right now the dog is detained [at the residence] because the shelter doesn’t have any room,” he said. Lawson, who is originally from New York City, said he put such measures in place to protect his family because he works long hours. He added that security footage shows Big Boy was not provoked before launching the attack. Lawson said he’s lived at the Chapel Place home, which he owns, for the past two years. 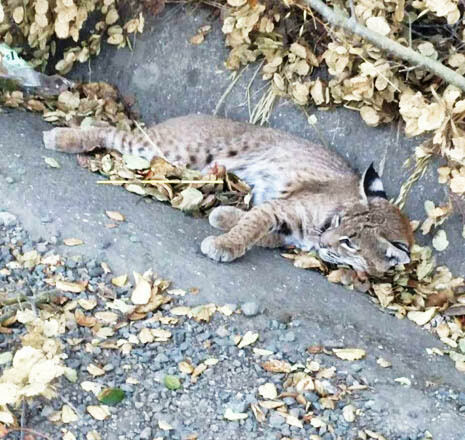 CALIFORNIA -- A bobcat found with an injured leg by the side of the road near Martinez was rescued by the California Highway Patrol and taken to a wildlife hospital in Walnut Creek for treatment, according to CHP. A passerby called the Highway Patrol shortly before 1:30 p.m. to report that an animal was injured on the side of the road along Cummings Skyway just east of Crockett Boulevard, in Crocket Hills Regional Park, CHP reported in a statement. "Upon our arrival, the wildlife we found was a beautiful Bobcat that had injured its leg," the statement said. "Thankfully along with the help of Contra Costa Animal Services we were able to rescue this little fella and transport him to the Lindsay Wildlife Experience museum in Walnut Creek, where he will be cared for. Get well little guy!" At the Lindsay Wildlife Experience, the big cat was receiving X-rays and medical treatment, according to Elisabeth Nardi, a spokeswoman for the hospital. "We get maybe one a year — it's not too common," Nardi said. "Our main species are things like Virginia opossums, house finches, squirrels, all kinds of barn owls." The bobcat is a lot bigger than those animals, obviously, so the Wildlife Experience can only house him or her for the short term, she said. "We do not have a big enough facility to be able to house him or her for any long period of time," Nardi said, "so if he's doing OK, we will transport him to a partner organization that has a bigger facility." 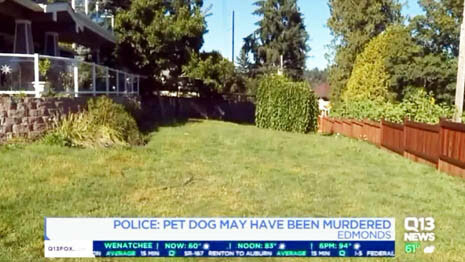 WASHINGTON -- The owner of a toy poodle found stabbed to death and partially skinned in his own fenced in backyard on Friday, Aug. 25th feels time is running out to find the killer. 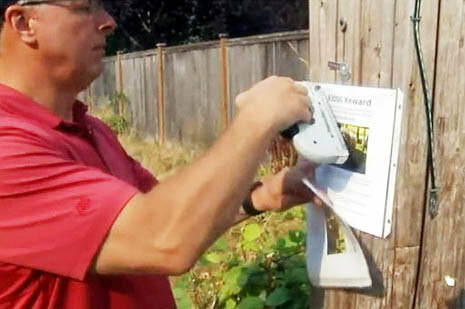 Paul Hensel has been out posting fliers along the Interurban Trail behind his home in the 23700 block of 74th Avenue offering a $7,500 reward for tips to identify the suspect who mutilated and killed Mickey. Editor’s note: The reward has been raised since the original posting of this article from $4,000 to $7,500. 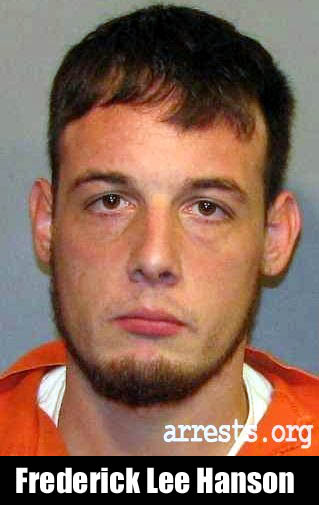 “The way he went, it was so violent and he had to have been scared,” said Hensel. Hensel said he was sitting inside just 20 yards away with the door cracked open. "We didn't hear anything. We think [the killer] was waiting in the yard," Hensel said of the attacker. Mickey was a little 10-1/2-pound dog that loved everyone he met. Hensel says he liked to bark at imaginary animals. "We've had neighbors come up in tears when they found out about it," said Hensel. 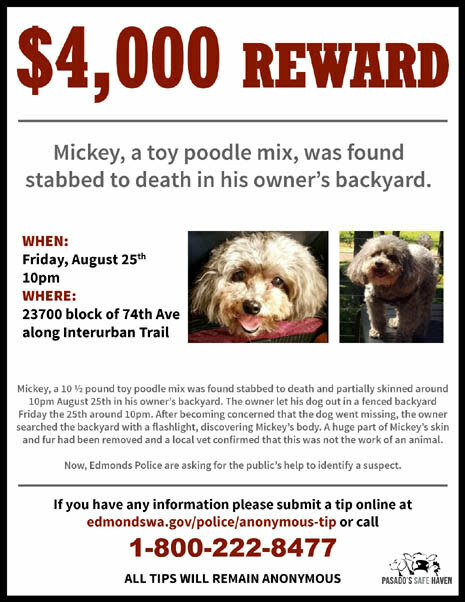 Edmonds Police initially increased patrols in the area but believe Mickey's killing is an isolated incident. Still, they are warning people to keep a close eye on their pets and asking for leads on any suspicious people on the Interurban Trail. "If anybody knows someone who may have a tendency to hurt animals or so forth, that's something we would like to know about. 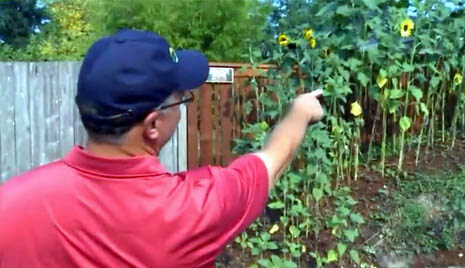 That's something that would be helpful information and point us in the right direction," said Sgt. Shane Hawley. So, how could somebody be so cruel? Pasado's Safe Haven is funding a third of the reward because they know this behavior will escalate and get worse. 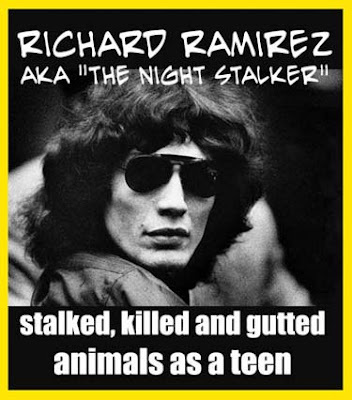 “As this behavior escalates, people who have crossed this moral line of being able to harm another living being, in our experience - in hundreds of these cases - it always gets worse. 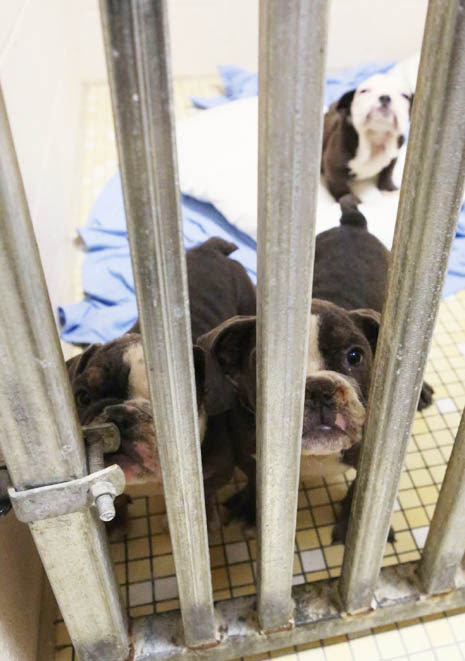 "As they progress up from one crime to the next, they are always looking for something more gruesome, more hurtful and to cause more suffering," said Executive Director Laura Henderson. If you have any information that can help solve this case or identify a suspect, call 911 or Edmonds Police at (425) 771-0200. 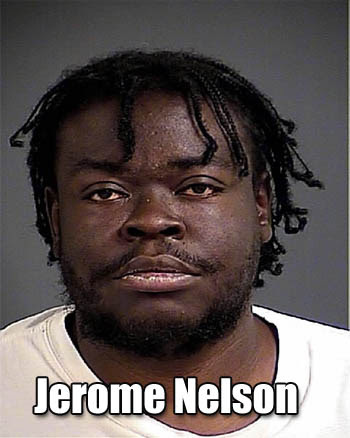 You can also submit an anonymous tip at http://www.edmondswa.gov/police/anonymous-tip.html or call Crime Stoppers at 1-800-222-TIPS (8477). 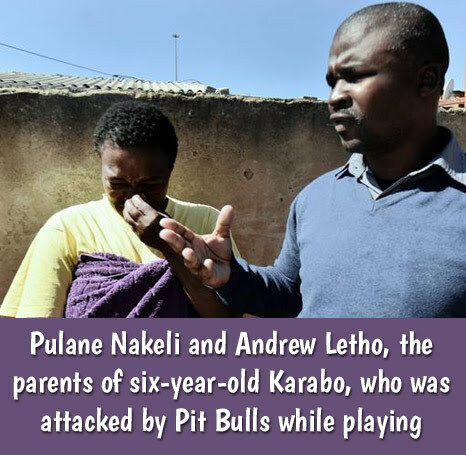 SOUTH AFRICA -- One of the boys attacked by pit bulls in Atteridgeville three weeks ago remains in critical condition in hospital. The other two victims are recovering at home, their parents have said. Christina Masemola of the SPCA said inspectors visited the owners. The dogs had reportedly been put down. However, the Pretoria News was unable to independently confirm this, as the owners declined to comment, saying they were not ready to speak to the media. The parents of Karabo Nakedi, 6, said they were anxiously awaiting the return of their little boy from Kalafong Hospital. Karabo is reportedly struggling to recover from the attack. The other two - Tshepo Mashabane, 11, and Amanda Kolweai, 4 - spent a few days in ICU at the same hospital and were discharged a few days later. Their wounds are believed to be healing satisfactorily. It was difficult for her to keep her composure while her first-born child was in ICU, she said. But the family were thankful that Karabo was responding to communication from both doctors and his parents, despite his road to recovery being difficult and slow. His father, Andrew Letho, said he was deeply worried that his son would later need to see a psychologist to deal with the trauma the boys went through. The scars ran deeper than could be dealt with medically, he said. Letho also said that what pained them was watching how doctors had to constantly clean him up to prevent the wounds from getting infected and causing further complications. In addition to worrying about the recovery of their boy, the parents said they were stressed about the social and legal implications of the incident. The parents of the three boys claimed the children were playing in the street as they normally did when the dogs - normally kept behind locked gates - got out. 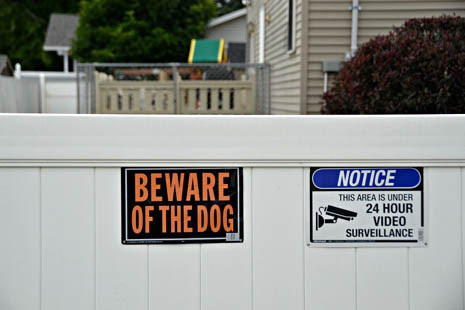 According to reports from all parents and others along the streets, the dogs had escaped from their yard when the gate was left open briefly. They alleged that the dogs ran down the street and attacked the children who were playing in the street. Letho claimed they were inside their house and Karabo was playing soccer in the street with other children. 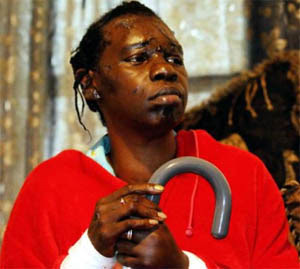 The owners apologised to them, the parents said, but Karabo’s parents said they were still too hurt by the incident. A case had been opened with the police. Tshepo’s mother, Eliza Mashabane, said even though the family were trying to move on, they were hurt that no one seemed to care about what had happened to their children. She said they had received no feedback from the police on the case. “It’s hurtful to see your child hurt so badly and struggle without any assistance from anyone,” she said. 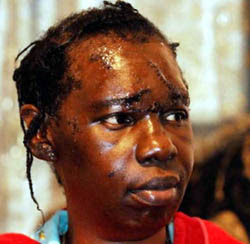 Joyce Kolweai said all her daughter Amanda wanted was to buy potato chips from the local spaza shop when she was bitten by the dogs. She was hoping Karabo would fully recover soon so the families could focus on finding a way forward on the case. 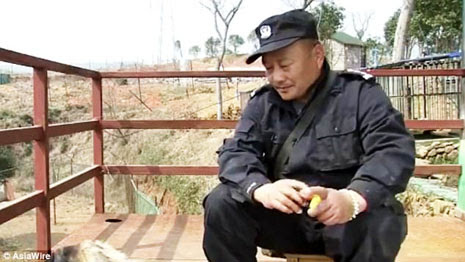 The police had not responded on a request for an update regarding the case by late on Sunday. 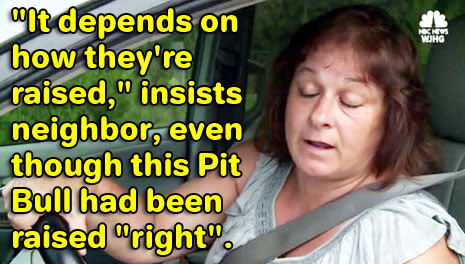 Florida: Alicia Malagon, 76, agreed to pet sit her daughter's Pit Bull, which she had done many times before. 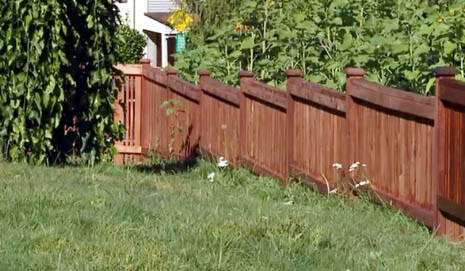 When it attacked her beloved Dachshund, she intervened and the Pit Bull killed her. FLORIDA -- An elderly woman has died after authorities say she was attacked by a pit bull while trying to stop the animal from hurting another dog. According to the Calhoun County Sheriff's Office, just after 1:30 a.m. Saturday, first responders were dispatched to a residence on NW Lamont Road in Fountain, Florida in reference to a dog attack. The incident report states that Alicia Malagon, 76, was pet sitting for her daughter and son-in-law's animals, which she had done many times before. 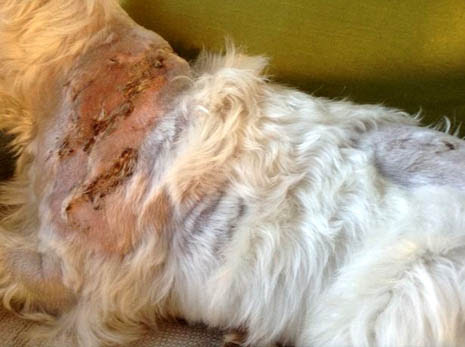 Her Dachshund also suffered serious injuries from the Pit Bull's attack. The incident report states that Malagon managed to drag herself from the bedroom to the phone in the kitchen to call for help from her daughter and son-in-law, who were on their way out of town. Deputies say the son-in-law answered the phone but did not understand how serious Malagon's injuries were because she told him she was "fine." The son-in-law began heading back to the house and called his brother to check on Malagon. The brother had to break a window to get in to the residence, where he found Malagon on the kitchen floor, fading in and out of consciousness. EMS responded to the scene and Malagon was taken to Calhoun-Liberty Hospital. She passed away a short time later. 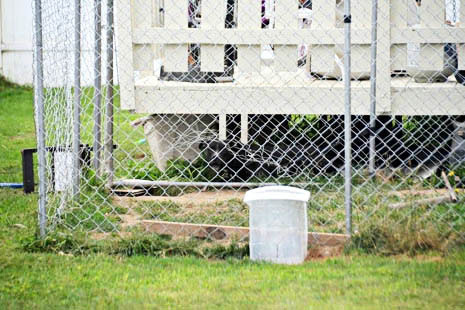 The Sheriff's Office says the dog is currently being quarantined and the case is still pending. 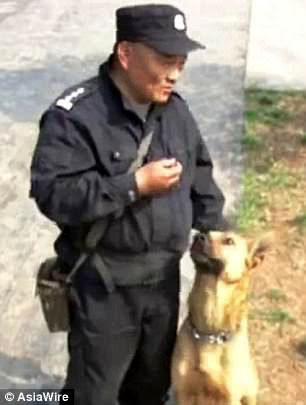 CHINA -- Many police dogs have an uncertain future after retirement but this man in China is making sure they have a forever home. 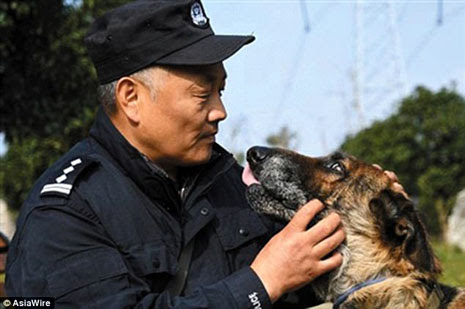 Bai Yan, a police dog handler from Hangzhou, China's Zhejiang province has created a home for retired dogs to spend their final years. He says he wants to say thank you to his 'commrades' and give them dignity in their final years. The man rented a strip of land from a friend and turned it into a centre for the animals. Bai says he wants to say thank you to the animals for serving the public. 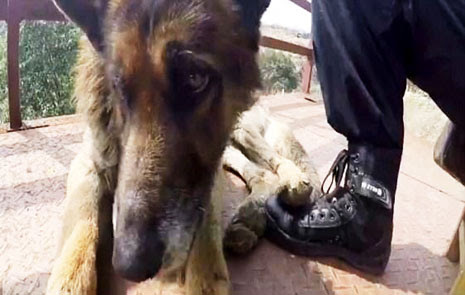 He opened the facility in 2010 and has seen 20 dogs see out their final years. Currently, the home has some 16 canines including one of whom, Bai used to work with. The man spends time with the dogs three times a day. He even wakes up at 4am to give them breakfast and spend time with them individually. He takes one dog to work with him every day so that they have a varied schedule. He has spent around $150,000 on keeping the home open and paying for the vet's bills. 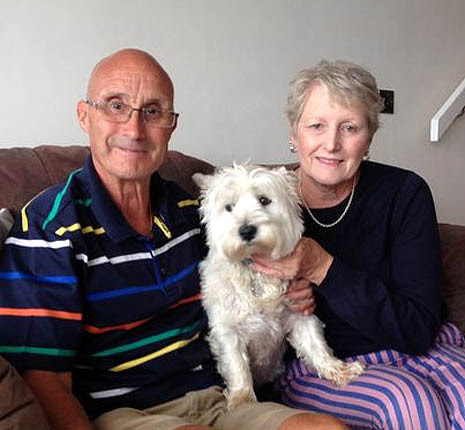 His life's aim to ensure that no dog is left neglected following a lifetime of service and Bai says that he was first inspired by seeing a dog who had been rehomed after completing his police service.